Christians also often swing between paying the devil far too much attention, and not enough. Some Christian groups become obsessed with notions of 'spiritual warfare' and ridding people of demons, whilst other Christians regard such talk—even though it is found in the Bible—as outdated and part of the superstitious misunderstanding of the world from less enlightened, less scientific times. It is important to understand the underworld properly, because this will help us understand the message of the Bible better, which will benefit everybody. If we understand the Bible better, we will better be able to understand the threat the underworld poses to us all, and this will help us to more compellingly hear the invitation that Jesus is extending to us all. "In a Hollywood-constrained vision of angels and devils, of monsters and the living dead, of alternative worlds with goblins and terrors and sorcerers, we need to recognize where the true horrors lie, where contemporary fantasies embody them, and where they entirely miss the mark. 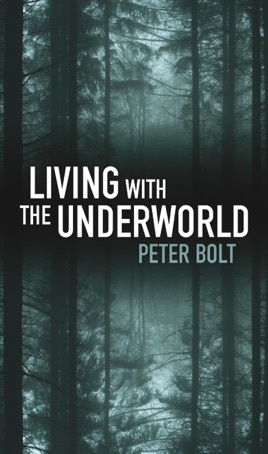 Peter Bolt is a good guide because his 'take' is firmly grounded in a careful reading of the Bible and in an equally sensitive grasp of twenty-first century Western culture. Besides, his book, far from being terrifyingly ponderous and gray, is a pleasure to read. It might even get you to go back and look at a recent film with fresh eyes." "At a time when more and more people are asking questions about the 'other world' of spirits, ghosts and demons, this a brilliant book which helps provide the answers. It is wonderfully readable, highly accessible and penetratingly biblical. It is a book which should be in every high street bookshop - definitely a 'must' read!"